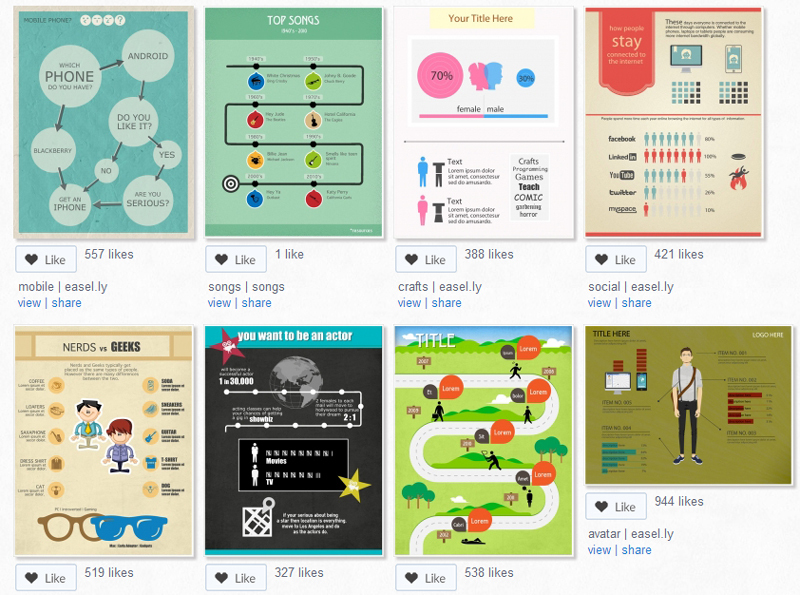 Infography is one of the best way to communicate some complex ideas in a simple manner. 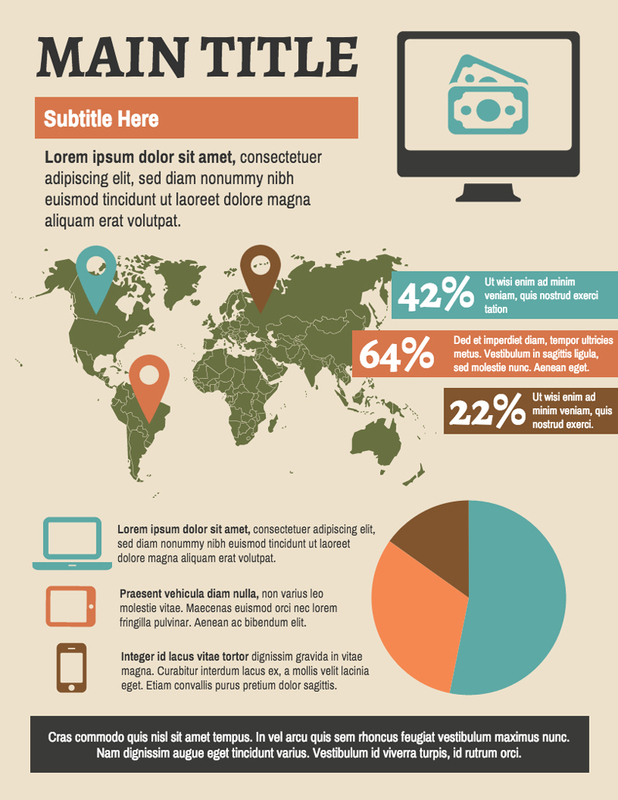 It’s possible to create infographics from scratch, I’d even say it’s encouraged if you are a graphic designer. However, you will often not have the time or budget to create complex custom infographics. Luckily, there are excellent tools to make your life easier. 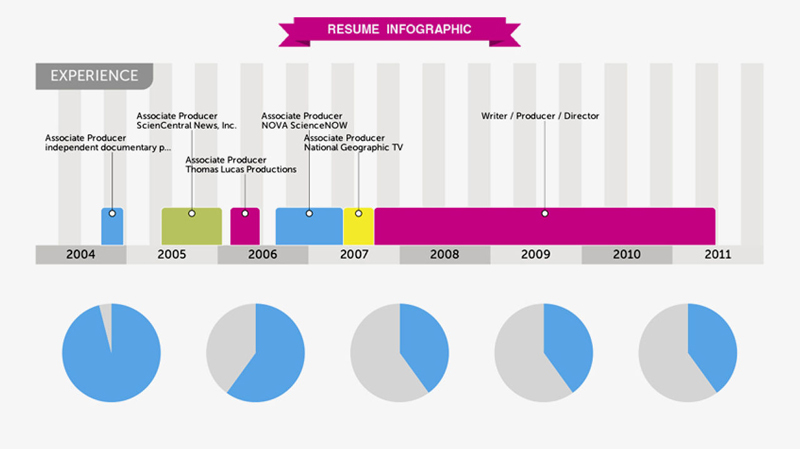 Precursor in the online infographics world, Vizualize.me is specialized in allowing you to create a visual resume in a few clicks. A template-based system that makes infographics creation blazing fast. Choose from thousands of templates to create your visuals in minutes with Easel.ly. A more professional tool that comes with tons of templates. 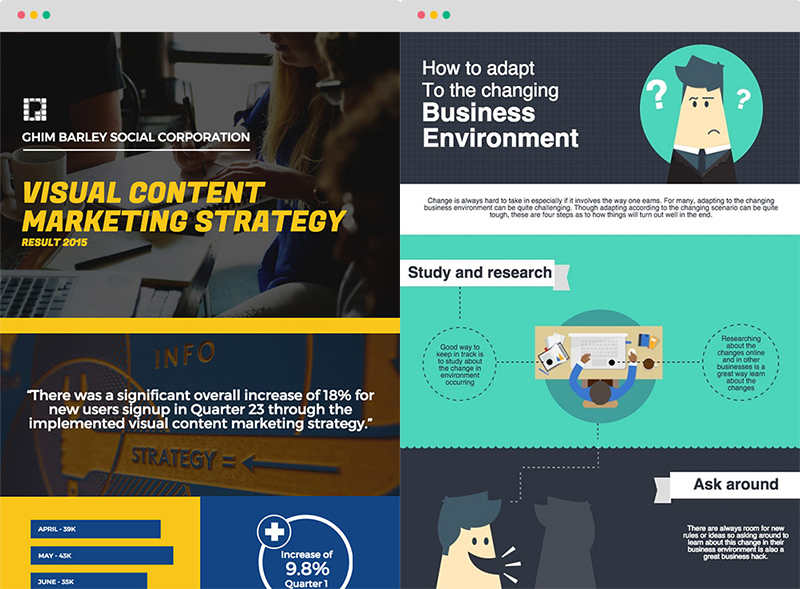 It’s not free for most users (except students), but Venngage is definitly worth the investment if you regularly create infographics. Piktochart is another professional tool designed with efficiency in mind. It’s used by many great publishers and offers plenty of useful templates for professional environments. An intuitive, drag-and-drop tool to create infographics for free even if you aren’t a graphic designer.